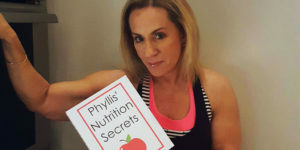 It’s time to go outside into this crisp, autumn air and have some fall fitness fun with Phyllis! 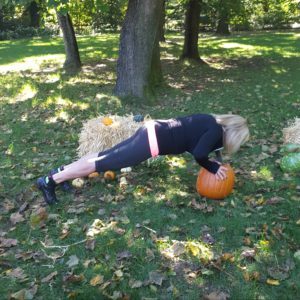 Let’s use the season’s bounty instead of traditional weights to exercise. 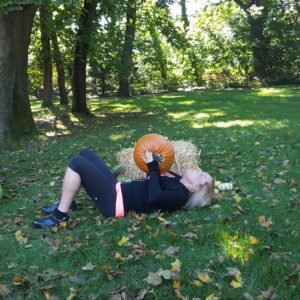 My big pumpkin weighs about fifteen pounds, the small acorns are about four pounds, and the goose neck squashes are about ten pounds each. 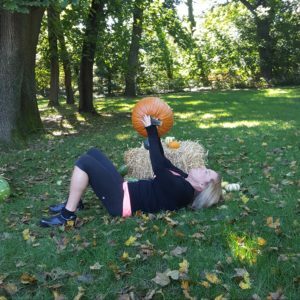 I take my exercise routine seriously but that doesn’t mean I don’t like to have fun. 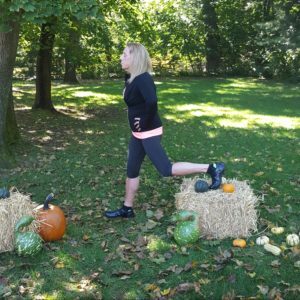 It’s good to mix things up and what better way then to go outside and workout. 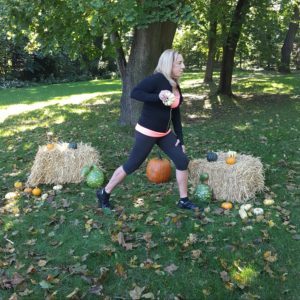 This fall fitness routine engages your entire body so even though it may look a little silly it will get the job done! 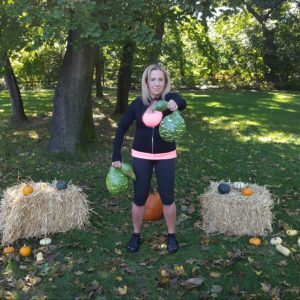 And when you’re done with this workout you can clean up the veggies and make yourself a delicious treat! 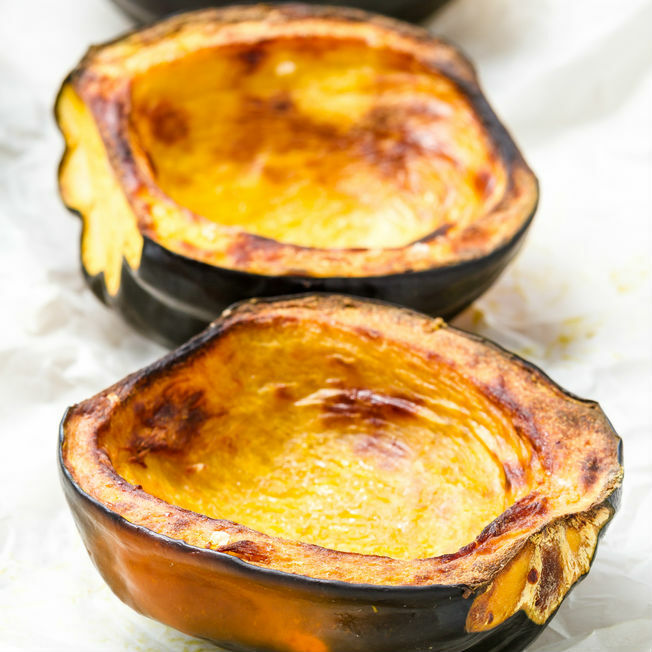 There’s a great Baked Acorn Squash recipe at the bottom of the post! 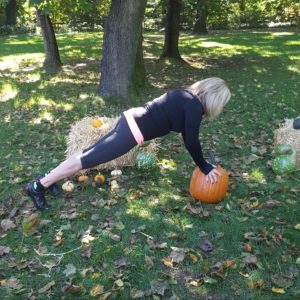 There are ten exercises in this routine. 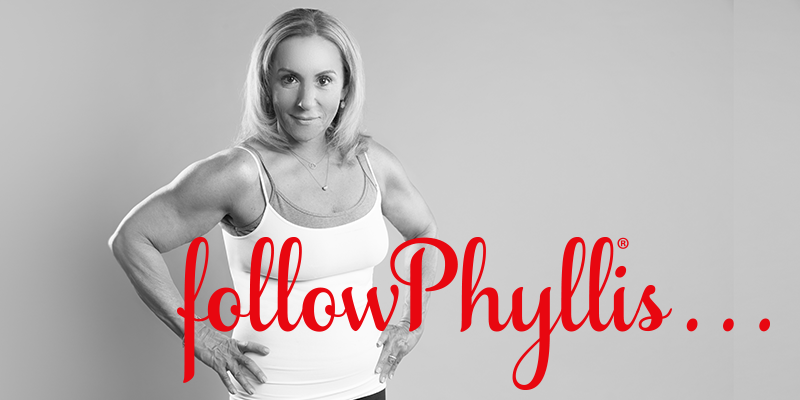 I suggest you do the entire routine two times for maximum results. DO YOU HAVE A FAVORITE FALL FOOD RECIPE TO SHARE?